Parallel Collection, designed by ICF Spa, has been inspired in a small waiting-room table conceived by the brand in the ‘50’s. 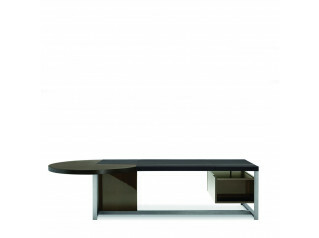 A reinterpretation which lead to the creation of the Parallel Group Table and the Parallel Group Executive Desk, a range which is characterised by its elegance of straight lines and a pleasant harmony of shapes. 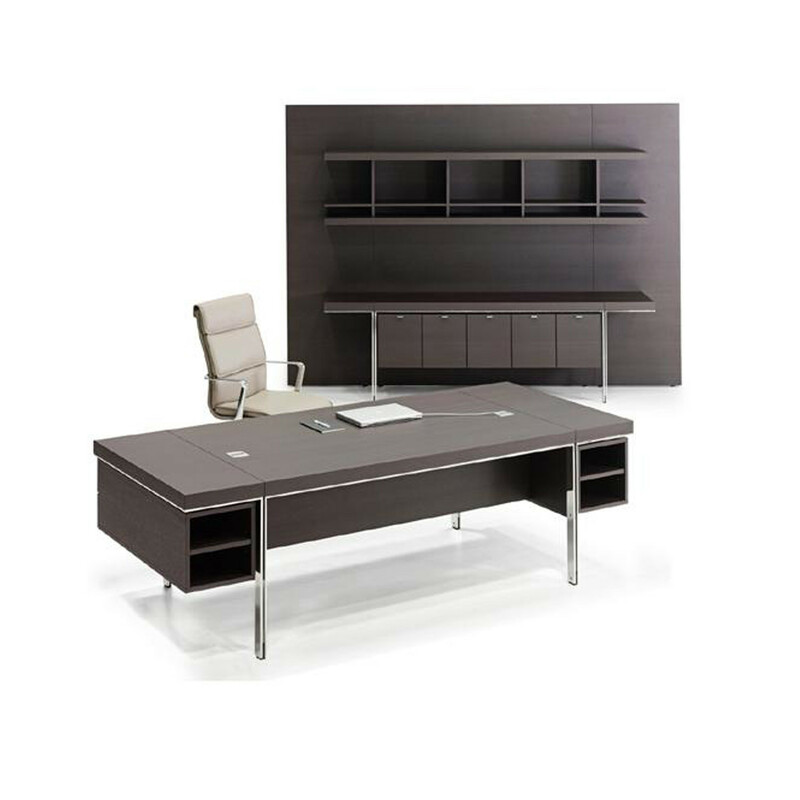 The Parallel Group Executive Desk, within this collection, features an elegant and classic design characterised by its multilaminar wood veneer top (available in oak, American walnut, wenge and black painted ebony) which stands on two drawn steel bars with chromed finish. 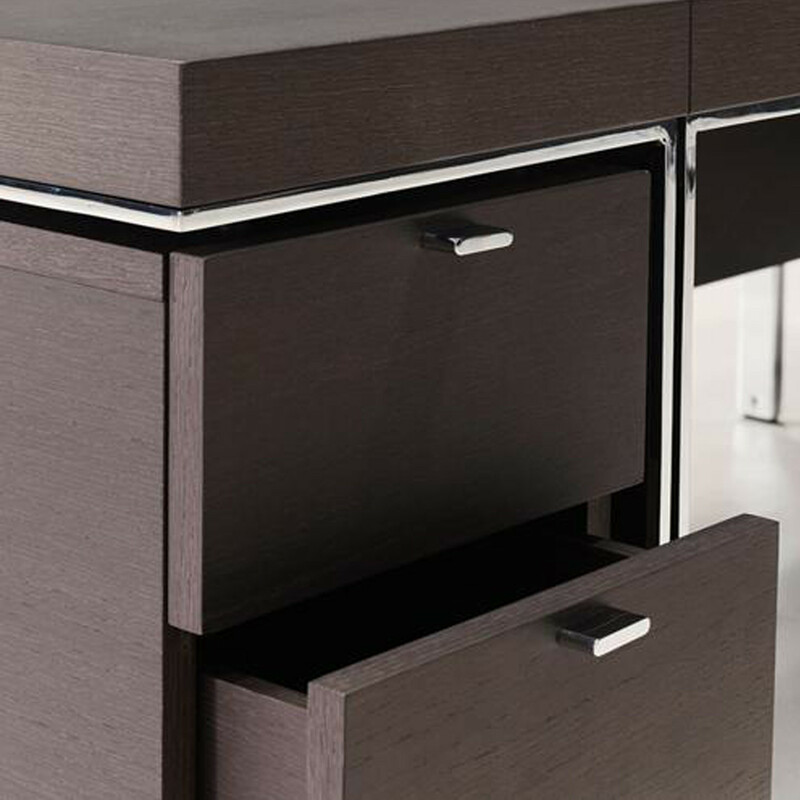 Optionally, if requested, the Parallel Group Executive Desks can be fitted with frontal and lateral modesty panels in multilaminar wood veneer, a 2-sided hanging drawer unit (comprising drawers and open compartments) designed to be placed under the frame in the side areas of the top. 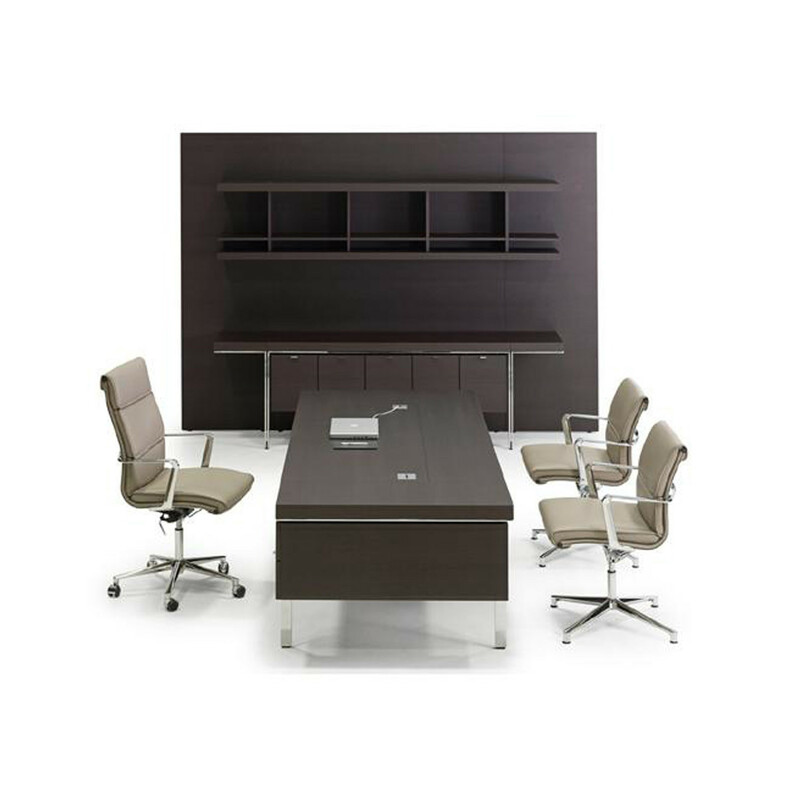 This executive office desk can also be completed with other panelling storage systems. 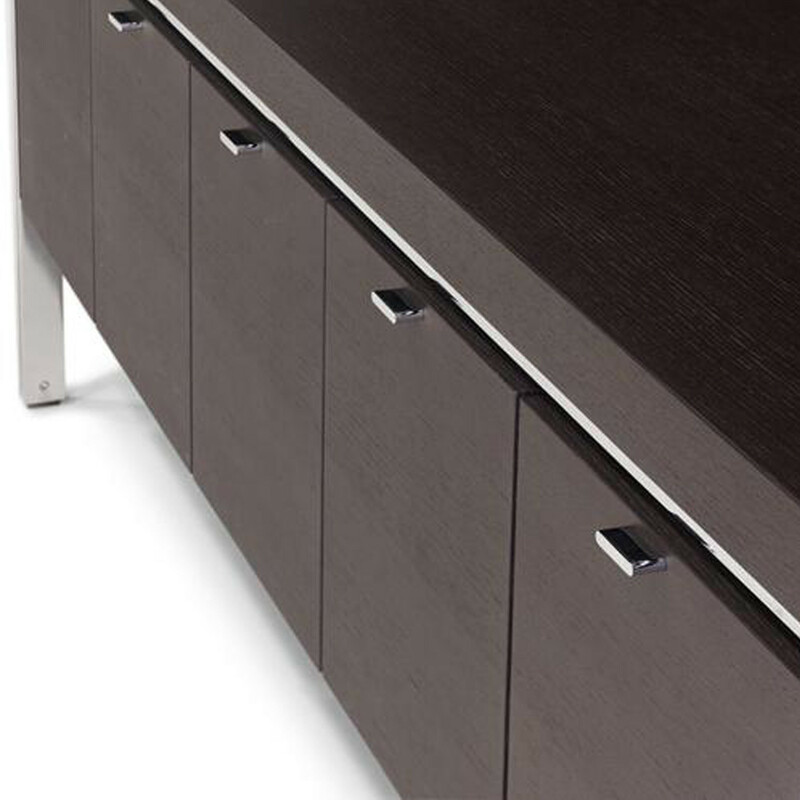 Designed to fulfil the user’s requirements, the Parallel Group Executive Desk comprises an integrated wiring system with a pair of satin-finish aluminium grommets and a metal cable tray underneath the top (suitable for containing a socket). 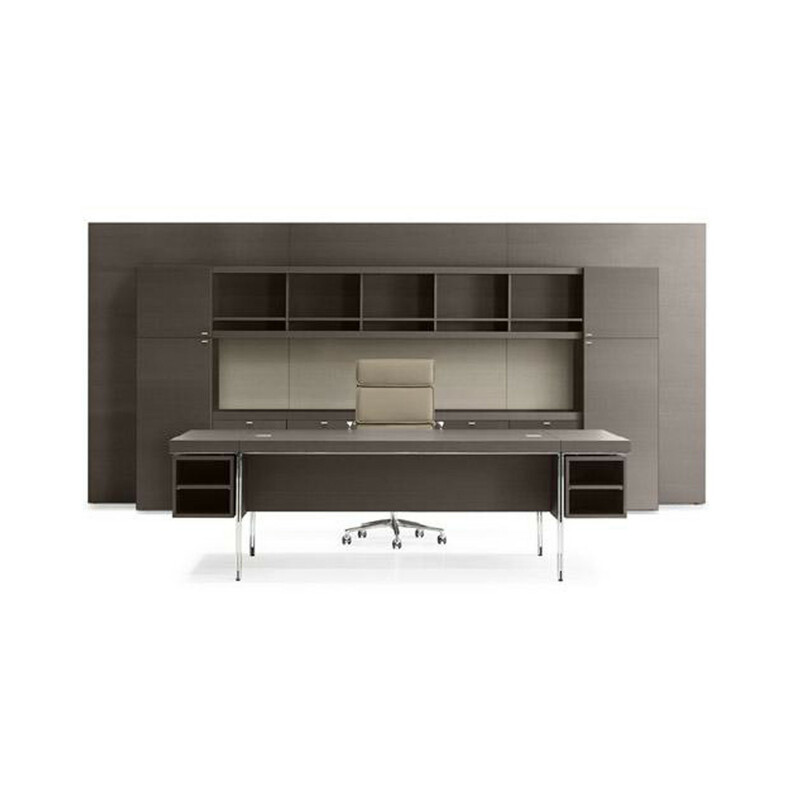 Granting a great working support and an organised environment, the Parallel Group Executive Desk is fitted with a flip door comprising an integrated cable raceway. 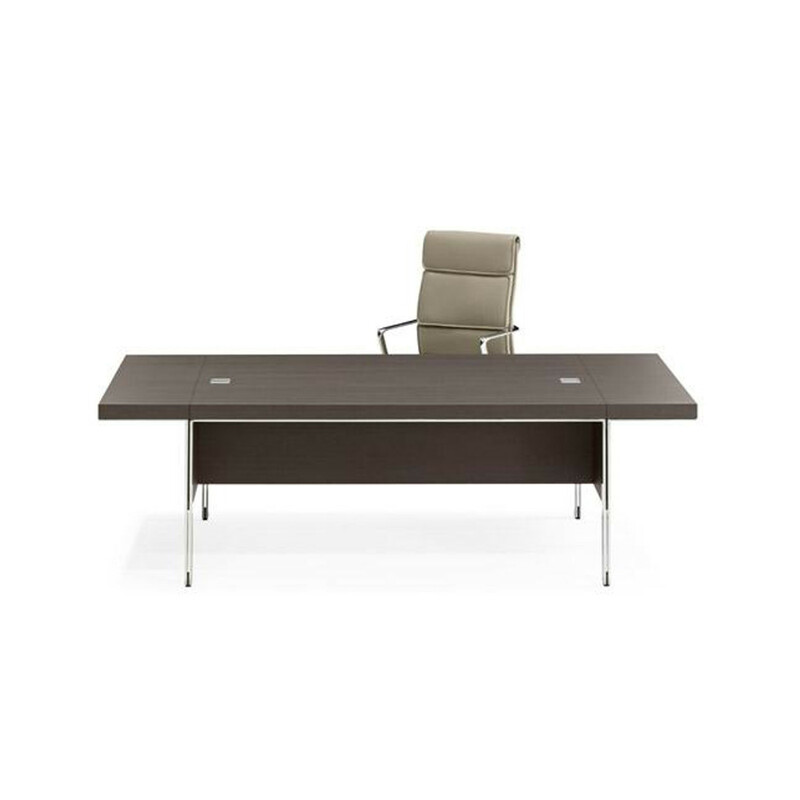 You are requesting a price for the "Parallel Group Executive Desk "
To create a new project and add "Parallel Group Executive Desk " to it please click the button below. 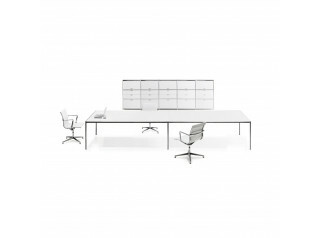 To add "Parallel Group Executive Desk " to an existing project please select below.